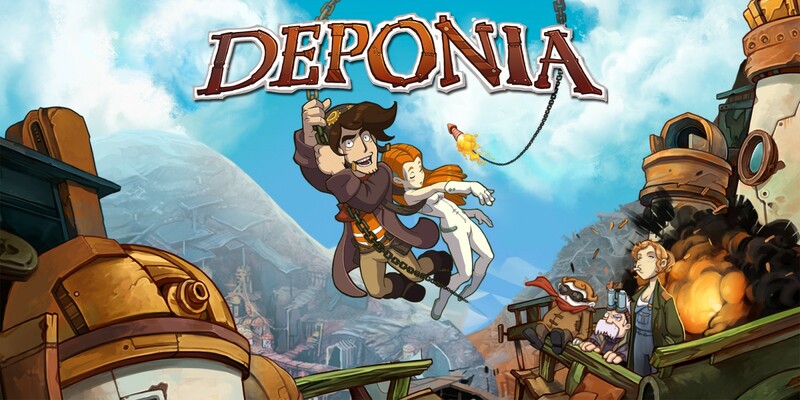 Deponia will launch on Switch this month, according to a listing on the eShop. The comedy adventure game is currently expected on April 24. In Deponia, the world has degenerated into a vast garbage dump, in which the crotchety Rufus ekes out his sorry existence. He is part of the lowest social class, doomed to live his life in literal mountains of trash. He hopes for an opportunity to get into the world of the rich, who live in a floating city high above the clouds. Fate seems to smile on the snotty good-for-nothing when one day the attractive lady named Goal from the higher sector plummets into one of the trash heaps. Rufus decides to help the young woman out by taking her back to her husband. When he notices that Goal’s husband is a dead ringer for himself, he hatches a diabolical scheme to gain access to the upper world. However, things don’t work out quite as planned, since he has feelings for the beauty which limits his usual unscrupulousness. Note that Deponia’s release date has not yet been officially announced. We should also mention that the game doesn’t have an eShop page in North America just yet, but that should be changing soon.